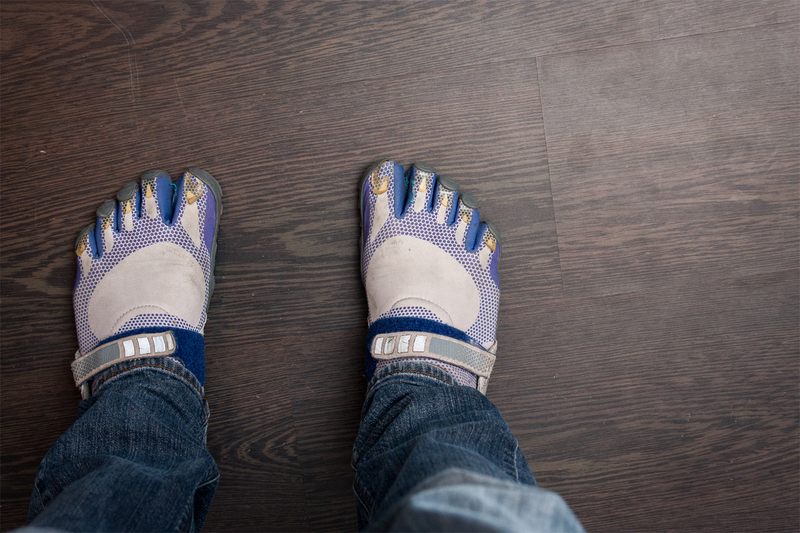 This is my old beat to all hell pair of Vibram Five Fingers. I have a few other newer pairs, but I can not seem to let go of these. Holes stitched back up on the toes and all.